Rain, the most awaited weather in Mumbai. The drops of rain are very important for various purposes. Rains mean an end to the pesky sweat of summers and it helps in growth of agriculture. There are more million reasons why rain is essential (and you probably already know the reasons why). Mumbai monsoon has its pros and cons. 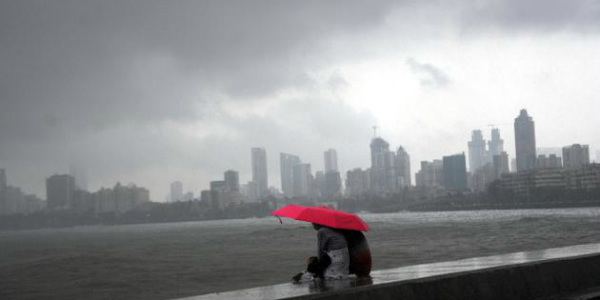 Let’s take a look at simple yet rich things to experience in Mumbai monsoon! 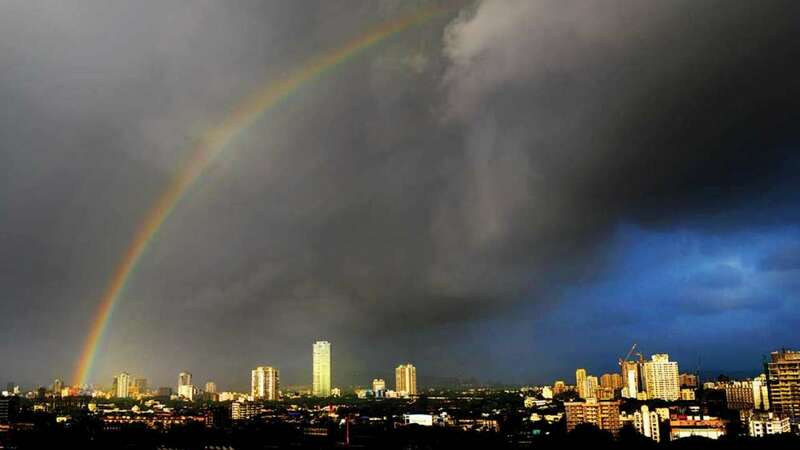 It’s the wish of every person in Mumbai to be lucky enough to feel the first drops of rain. Feel the magic of Mumbai monsoon and how it marks a change from the heat. Being wet in rain is something everyone experiences here and we all may feel it’s unnecessary, because when you return from work or go to work you getting drenched is least of the priority. Not every time you would want to drenched by rain but at least once its a must. The fact remains you could use an umbrella and raincoat but the beauty of this season lies in letting go these umbrellas and feel yourself passing through the cold breeze. Play with rain drops, feel your soul getting cleansed with the drops of rain and get delightfully drenched! Marine drive is the place you want to be in rains. The cold breeze of wind gushing through your body is something you only find in Mumbai during monsoon. Despite the huge rocks placed at bottom of sea bed the high tide makes the water splash so high that it reaches on the roads. Rain or no rain you could spend hours on marine drive in Mumbai monsoon because of the soulful breeze that clears your head! It’s the experience you must have by calling off your work/college or skipping your holiday’s rest in order to enjoy the monsoon. After you have been blessed with Mumbai rains and you come home all soaked up. After you warm yourself up, there is nothing like a samosa or pakora that would make your life any better. These evening snacks in monsoon are like icing on cake. Normally, the snacks taste good but now after the rains they have a whole new meaning to their existence and being accompanied with cutting chai they are the best snack on earth. They taste brilliant and perfectly suite your mood after the rains. You need to have it to feel what these words are trying to convey! 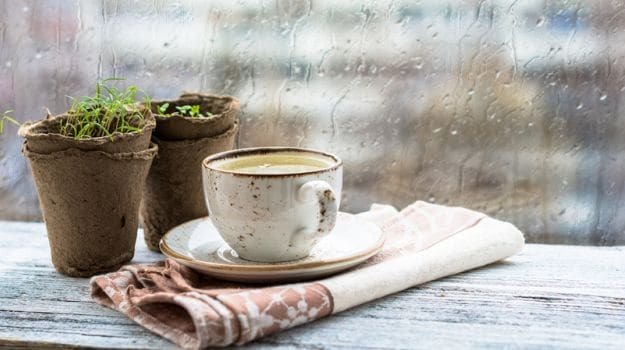 While Mumbai monsoon lasts for many weeks, getting drenched again and again may make you fall sick. Therefore, many of the Mumbaikars prefer their comfy seats in balcony while it rains heavily outside. 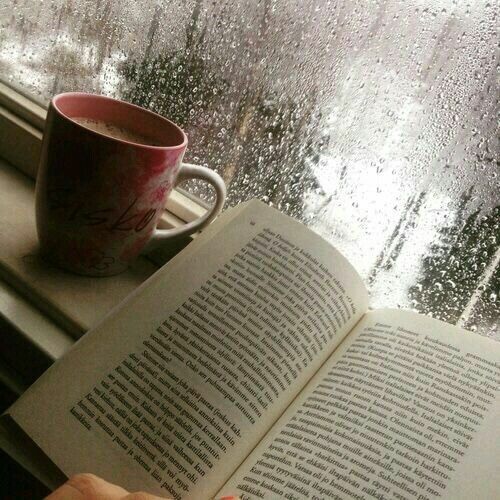 Watching the rain drops falling from their window, while having the best hot coffee in world with the choice of their Novel is another rich way of relaxing and refreshing yourself in rains. The Coffee warms them up and the novel turning pages entertain them with the rains providing the comfort of a really great weather. Perfect Combination! One can’t help but deny how great Mumbai rains are. It’s Refreshing, soul soothing and a much needed change in weather. Despite all this some people may not find rains amusing. For them also rains have something to offer. While it rains they may not like it but after it stops they will because of the Petrichor Earthly Scent it produces. The scent is natural and so good smelling that it’s another reason to Love rains more. Also, after rains the skies magically rainbow appears. It’s the magic sky phenomenon that rain is responsible for. These both factors combined together make even the after rain experience enjoyable and amusing. Many may also go to various hill stations to enjoy the weather but Mumbai monsoon should be experienced at least once in a lifetime. Rains may make us wet and also cause delays in our travel time to work and other places. Actually, the summer also made us wet with sweat and winter made us late by its magic spell of not allowing us to waking up early in morning. It’s human tendency to complain and compare things and not enjoy what they experience. It’s not only rains that have amazing experiences but other seasons too.